Miami, Fla.-based global fuel provider World Fuel Services is once again attending LABACE (Booth 2006) to highlight the 10 regional members of its sponsored Air Elite FBO Network. Founded in 2011 from the remnants of the Avitat Network, Air Elite has grown to 79 locations worldwide, each of which must meet and maintain a number of airport, facility and service quality standards to qualify for membership. In Brazil, the network’s lone representative is also the country’s largest FBO. World-Way Aviation is one of several service providers at São Paulo-area Sorocaba Executive Airport, a hub for OEM maintenance centers. Opened in 2016 at a cost of $15 million, it offers a 30,000-sq-ft (2,787-sq-m) terminal with dedicated VIP lounge, conference room, crew lounge and rest suites, fitness center, observation balcony, and a nearly 100,000-sq-ft hangar, large enough to house nine Embraer Lineage 1000s. FBO Aerocardal at Santiago, Chile’s Comodoro Arturo Merino Benitez International Airport was the first service provider in Latin America to be accepted to the network back in 2014. Its recently renovated facility has a 7,700-sq-ft terminal, with separate executive passenger lounges for international and domestic boarding, customs and immigration service, concierge, crew rest area and showers, along with more than 30,000 sq ft of hangar space. Located at Quito’s Mariscal Sucre International Airport, Ecuacentair provides onsite passenger security screening, passenger and crew lounges, shower facilities and flight planning stations. This summer the company will begin construction on a 3,000-sq-m (32,290-sq-ft) hangar. When completed by the end of the year, it will be the largest on the airport. Colombian service provider Caribbean Support and Flight Services (CSFS) operates an Air Elite Diamond FBO at Ernesto Cortissoz International Airport in Barranquilla. The Cartagena-based company also operates FBOs at Santa Marta/Simón Bolívar International Airport, Medellin’s Rionegro/José María Córdova International Airport, Alfonso Bonilla Aragón International Airport in Cali, and at San Andres Island Gustavo Rojas Pinilla Airport. Cabo San Lucas International Airport, the only private international airport in Mexico, offers a family-owned FBO, which delivers personal service to its customers. It offers an 8,100-sq-ft terminal with concierge services, refreshments, flight planning, immigration and customs processing, 24-hour security, along with a new 32,000-sq-ft hangar that can shelter aircraft up to a Boeing 737, business center, and complete ground handling capability including fueling. 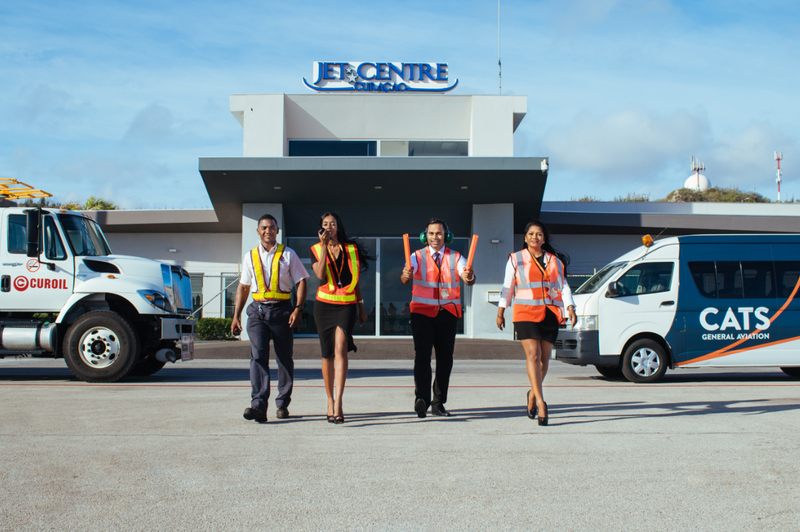 The Air Elite Network is well represented among the islands of the Caribbean, with locations in Puerto Rico and the Bahamas (Jet Aviation San Juan and Jet Aviation Nassau), Turks and Caicos (Provo Jet Center), Curaçao (Jet Centre Curaçao), and the U.S. Virgin Islands (St. Thomas Jet Center). Air Elite’s standards are audited to ensure consistency across the network. In June it held its annual retreat and Ritz-Carlton customer service training session, drawing members from around the globe, allowing them to engage in continued training, best practice sharing, strategic planning, and development.